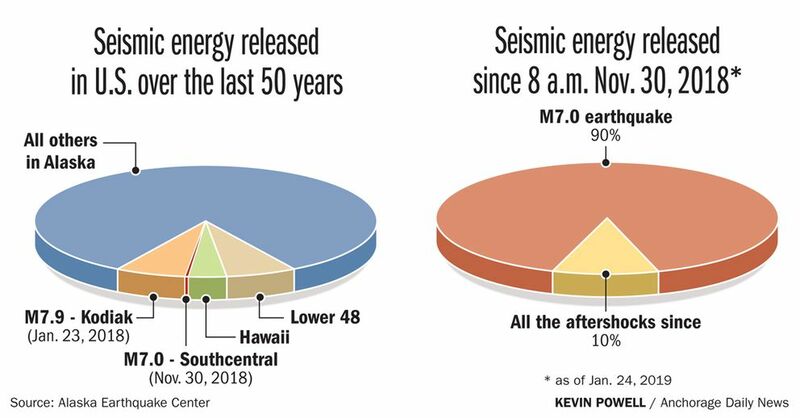 The unnerving aftershocks from the Nov. 30 magnitude 7.0 earthquake are expected to continue at least until a year after the original quake or even a bit longer, according to an analysis by the Alaska Earthquake Center completed last week. Seismologist Natalia Ruppert said she reviewed the normal amount of earthquake activity in the rupture patch north of Anchorage, going back about 40 years, to conduct the analysis. Then she factored in the rate of aftershocks that occurred more than a month following the quake. “Now we know how much it’s decaying, so we can forecast it to the future,” she said. She now estimates the aftershocks could stop as early as late November, or perhaps continue a bit longer, until late January. 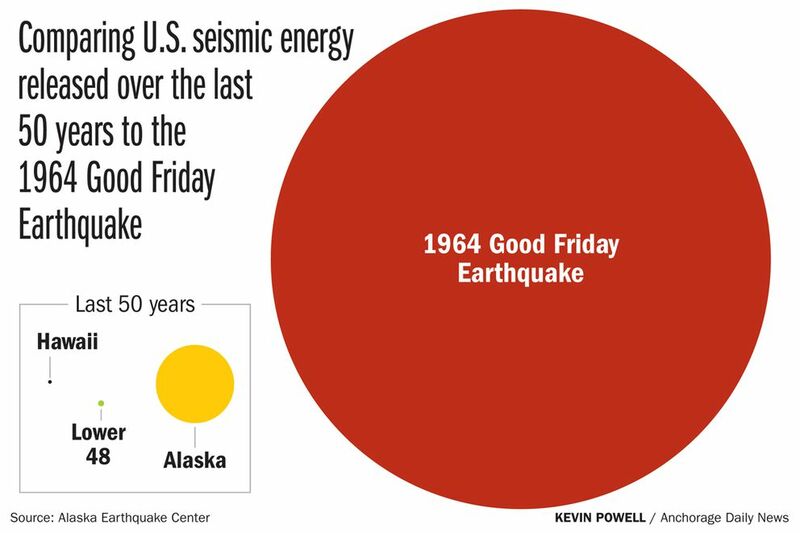 About 8,000 aftershocks have occurred since the large quake, including a magnitude 4.5 on Tuesday night felt widely across the Anchorage region, and a magnitude 3.9 on Wednesday afternoon, Ruppert said. The area where the earthquake occurred historically produces about 10 earthquakes annually with a magnitude of 3.0 or greater, she said. The Nov. 30 quake happened along a “fault patch” about 20 miles long and 10 miles wide roughly positioned underneath Point Mackenzie. Scientists are now recording about 10 such aftershocks a week of magnitude 3.0 or greater, she said. “The aftershock sequence has behaved as expected,” Ruppert said, referring to the diminishing frequency of aftershocks. Shortly after the earthquake, scientists cautioned that the aftershocks could last several months, or even years. Ruppert said she could create a long-range aftershock forecast, with the estimated number of aftershocks (and their size) expected before they come to a halt. But doing so would require the U.S. Geological Survey, which is part of the partial federal government shutdown, to update its aftershock forecast. The agency’s last update came Dec. 21, the day before the shutdown began. “Maybe when the federal government gets back to business, we might do that,” she said.